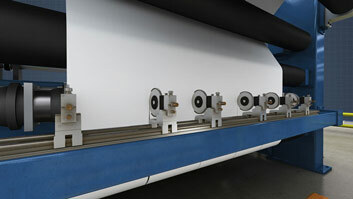 Every time a paper or board machine is started up after a shutdown, and following wet end sheet breaks, it is necessary to rethread the sheet from the forming section to the reel. 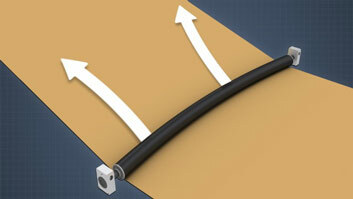 After dry end sheet breaks, the sheet must be threaded through some portion of the machine. This module will describe the sheet threading process on a paper or board machine and the main components of a carrier rope system, including rope sheaves, rope tensioners, and rope drives. How can ropes be used to thread a paper or board machine? Carrier rope systems are comprised of multiple sections, each containing 2 or 3 ropes which travel together along the sheet path. During threading, a ""tail"" (a narrow section of the sheet) is pinched and carried along between the ropes in each section. How are carrier ropes driven? They can be driven by the driven rolls or dryer cans in their section, or by a separate rope drive in their return run. Doesn't that take a lot of rope? What happens if you run out of rope? 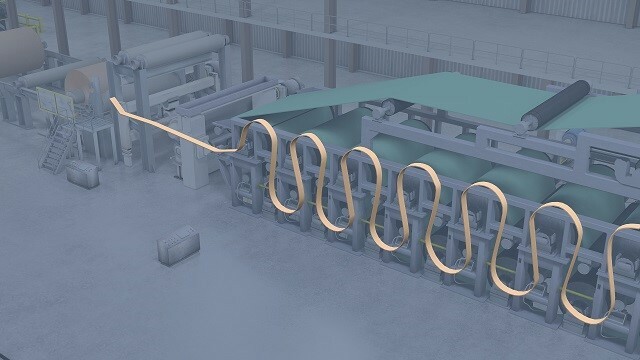 Carrier ropes consist of endless loops which travel along the sheet path with the tail through their section, and then separate and return to the beginning of the section. On their return run, they are tensioned and sometimes driven. How is the tail transferred between rope sections? 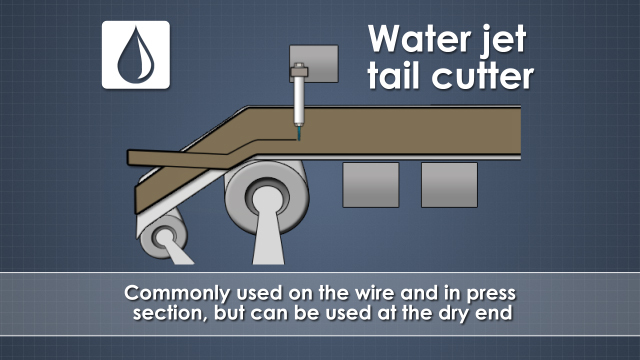 Each rope section can be set up to release the tail directly into an ingoing rope nip in the next rope section, or an auxiliary device (an air shower or belt conveyor) can be used to transfer the tail. Why is rope tension reduced after threading? 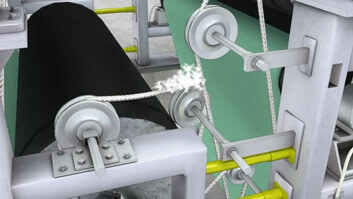 Reducing the rope tension after threading allows the ropes to recover and maintain their elasticity. 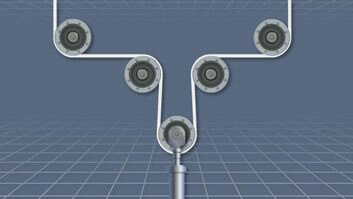 Rope systems employ rope sheaves for several different purposes. Return sheaves have relatively deep grooves and are used to route the ropes between the rope tensioners and the dryer cans or other machine components. Transfer sheaves are shallow-grooved sheaves used to position the carrier ropes to form a nip at the start of a rope run. 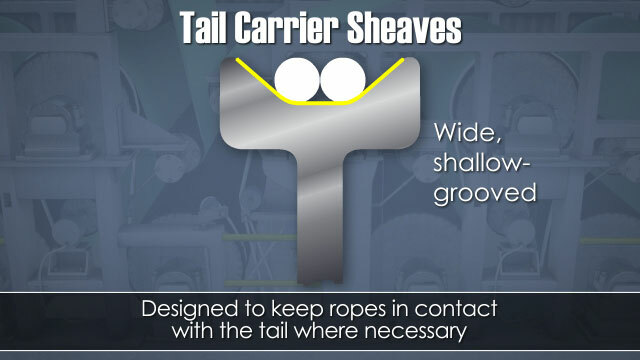 And tail carrier sheaves are wide, shallow-grooved sheaves designed to keep the ropes in contact with the tail where necessary. Electric motor rope drives are sometimes required for carrier robes running in coater, size press, wet press, and reel sections. 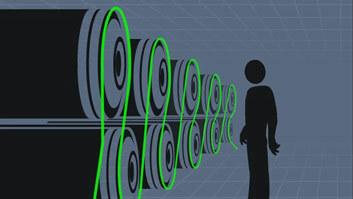 In dryer sections, the carrier ropes travel in grooves at the front of the dryer cans, and so are driven by the dryer section drives.